Tonight an explosive and exciting game in Men’s Olympic basketball will take place, as old feuding rivals, Serbia and Croatia will clash in the quarterfinals. Both teams are in the development cycle, but both also have a chance for a medal this week, so this game is pivotal in their international legacies. Croatia is a team that has nothing to lose and can even be said to be playing with house money, since they’ll be facing their arch rivals for a place in the Semis and medal rounds. Croatia hasn’t won a medal in basketball since 1992, when they took silver. Many expect them to be medal contenders in games and tournaments to come, but the emphasis for them is on the future so they might just not be there yet to win tonight’s game. But they could surprise and move on from this. To think they lost Nigeria who didn’t have Festus Ezeli or Al-Farouq Aminu, and then bouncing back and beating Lithuania pretty easily it’s obvious this is not exactly the most consistent team in Rio, but if they can get hot at the right time, Croatia have the weapons and skills to hang in there with almost anyone. Then there is Serbia, a team that did not play it’s game well against Australia, but got the job done against the Group A cellar dwellers Venezuela and China, while threatening with France and USA with near wins. And Milos Teodosic played like the star he is. Serbia has been shooting better than Croatia and playing more efficiently than their neighbours. But history has taught them that this isn’t going to be a cake walk. If we go back to the 2014 World Cup, when a they turned a poor group phase performance into a run to the final, Sasha Djordevic’s team knows they have played too often to the level of their opponent and that now they must surpass them. When Serbia is good, it can take giants down, as in the game which was the biggest challenge to the Goliath USA. They know how to play and can demonstrate some fabulous stuff. It also means that Serbia can get drawn into drag out battles as well with games going into OT. Lithuania outsmarted them in Lille, and so they will wary of getting caught off guard in the same way. They know, Croatia has nothing to lose here, and nothing would please them more than to beat the Serbs. Here are the stats: Croatia got to its fourth olympic quarterfinal with a 3-2 record in group B. In the 90-81 win over Lithuania, Croatia shot 53.3 percent from the field and 57.9 percent from beyond the arc. Croatia allowed 47.8 percent shooting from the field and 39.3 percent shooting from deep. Bojan Bogdanović led the way with 22 points and two rebounds while Krunoslav Simon had 19 points and six assists. Dario Šarić was the third double-digit scorer and Luka Babić dished four assists. Croatia has yet to win back-to-back games, which probably won’t happen up against the Serbs. The only good news for Croatia is that it has the leading scorer in the tournament in Bogdanović, who is also shooting 51.4 percent from the field. Serbia just squeaked into the quarterfinals by finishing with a 2-3 record in group A. 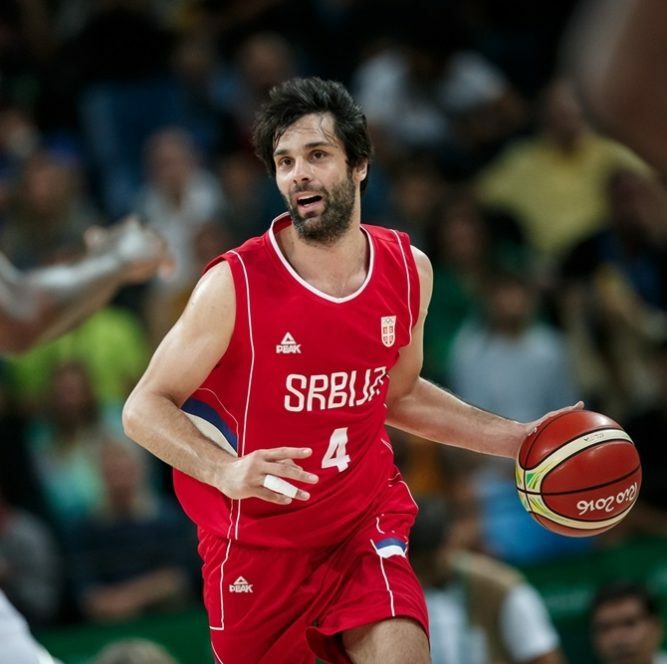 In the 94-60 victory over China, Serbia shot 50 percent from the field and 44.4 percent from beyond the arc. Serbia allowed 39.7 percent shooting from the field and 26.3 percent shooting from deep. Bogdan Bogdanović led the way with 19 points and five rebounds while Nikola Kalinić had 15 points and three assists. Miroslav Raduljica was the third double-digit scorer and Miloš Teodosić dished five assists. Serbia has had an ugly record in group play but their close losses to France and the United States were only by a combined four points, which means they are getting into gear and can beat anyone. Since in those losses, Serbia has shown how dangerous it can be and how hungry they are for success, after not qualifying for the last two olympics. They are definitely the dark horse. So far, their story has been that Serbia competes against great teams but can’t finish. However against Croatia, who doesn’t have back-to-back wins and relies way too much on one player, Serbia is by far the better and deeper team.